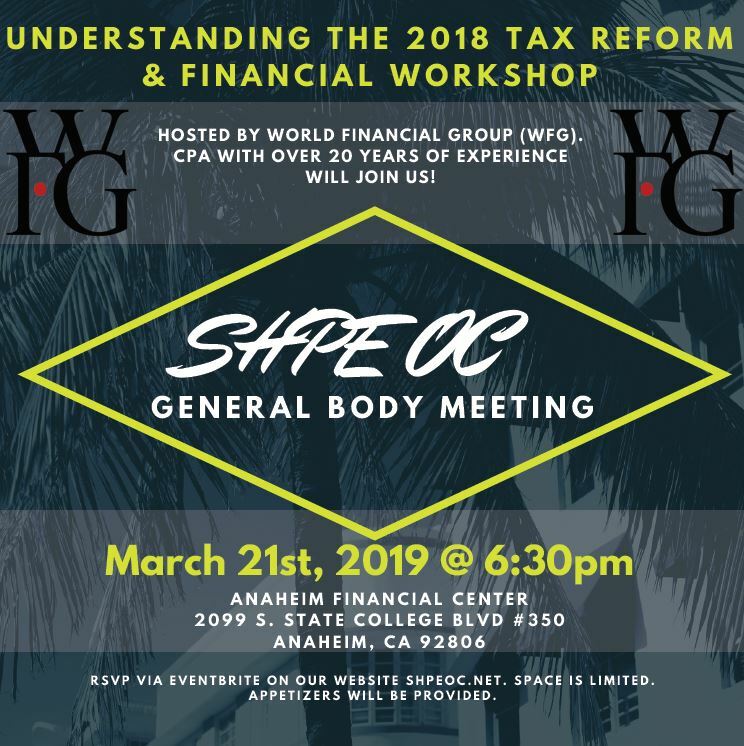 SHPE OC would like to invite you all to our first general body meeting of the year that will focus on Understanding the 2018 Tax Reform along with a financial workshop. 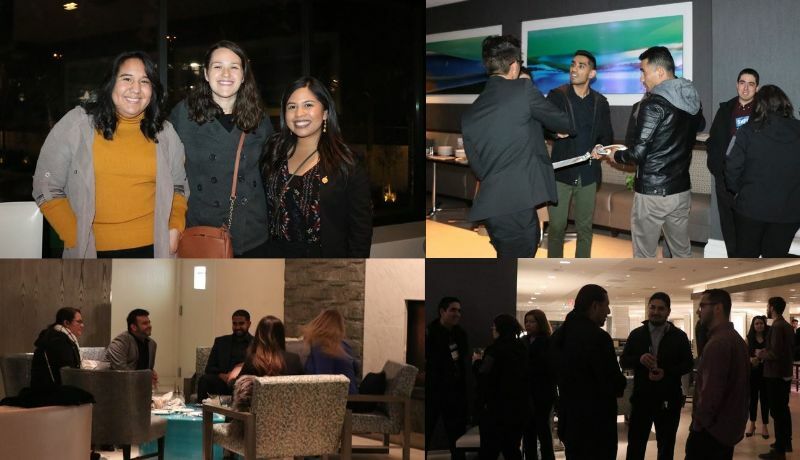 We would like to thank World Financial Group (WFG) for presenting and hosting this event! Registration Required. RSVP via Eventbrite on our website SHPEOC.NET. 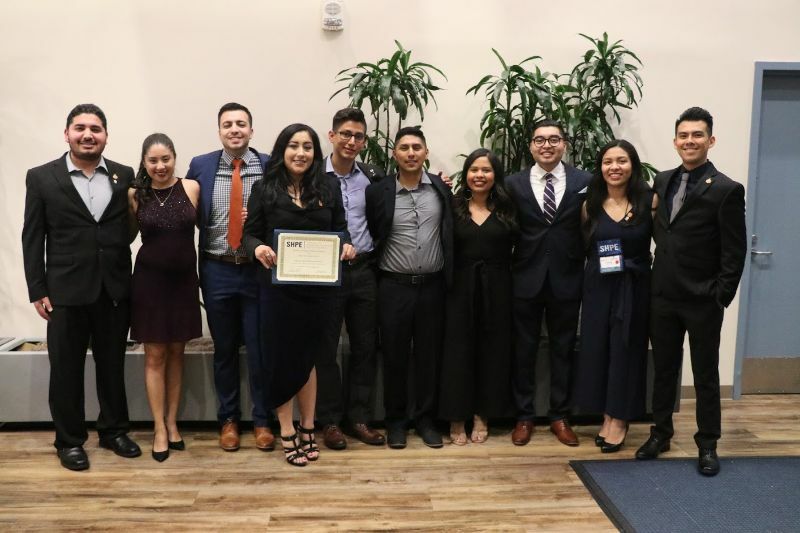 SHPE OC was presented the Blue Chip Award during the Regional Leadership Development Conference Banquet at UC Irvine. 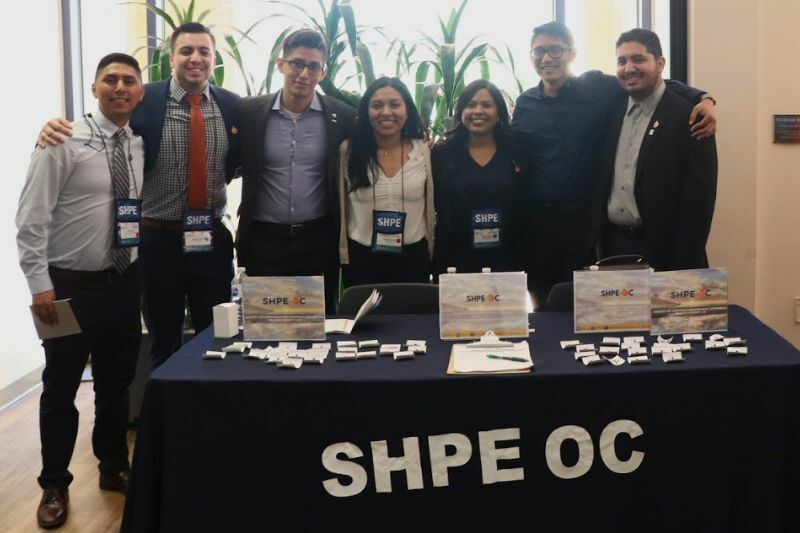 SHPE OC boothing during the career fair at the Regional Leadership Development Conference at UC Irvine. 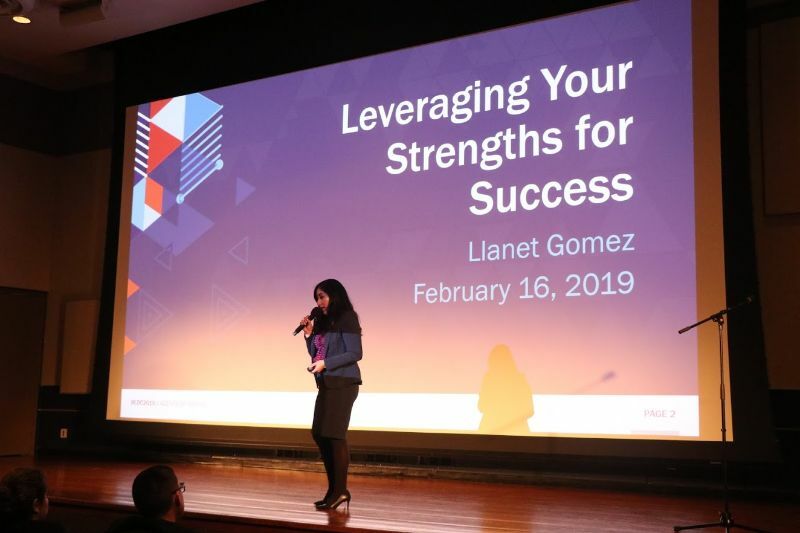 Our SHPE OC President, Llanet Gomez presented "Leveraging Your Strengths for Success" workshop at the Regional Leadership Development Conference at UC Irvine. 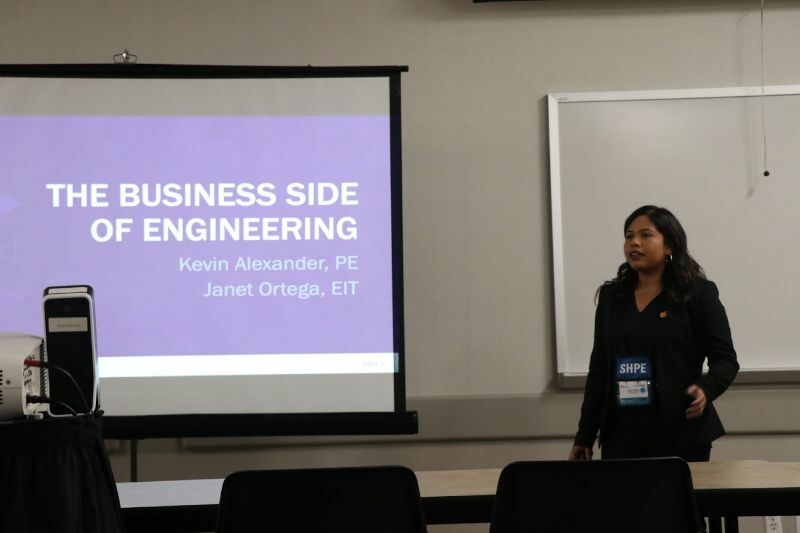 Our SHPE OC Treasurer, Janet Ortega, along side Kevin Alexander from Hazen and Sawyer presented "The Business Side of Engineering" workshop at the Regional Leadership Development Conference at UC Irvine. 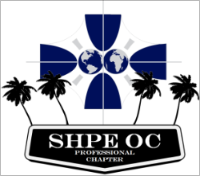 SHPE OC hosted the RLDC professional mixer at the FLOE lounge in Marriott Hotel, Irvine. Please send us you local chapter website links and any future events you would like to share.